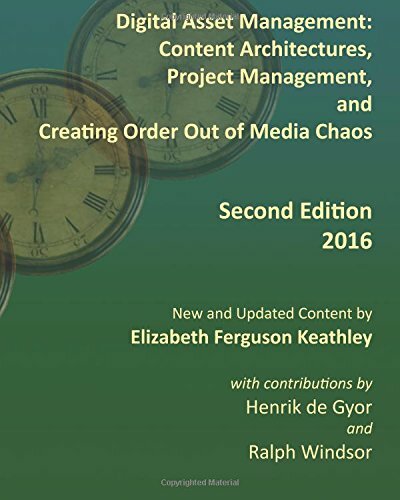 [PDF] Digital Asset Management: Content Architectures, Project Management, and Creating Order Out of Media Chaos: Second Edition | Free eBooks Download - EBOOKEE! Description: The second edition of the preferred text for learning about Digital Asset Management contains 30% new and updated material, including a full new chapter on risk and change management. Incorporating quotes and material from leaders in the field, as well as sample charts, graphs, and even job descriptions that readers are encouraged to reuse and adapt for their own purposes, this book is a must have for anyone learning about Digital Asset Management. No comments for "[PDF] Digital Asset Management: Content Architectures, Project Management, and Creating Order Out of Media Chaos: Second Edition".